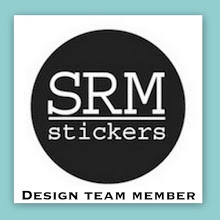 Here is a fun project that I am sharing over on the SRM Stickers blog today. 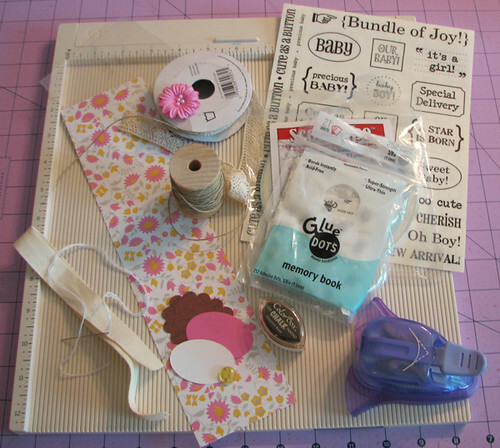 It is a fun tutorial on how to make a party favor for a baby shower or any other fun occasion you may need one. ﻿What better way to tell your guests thanks for coming to a party than to send them home with one of these pretty little gifts. 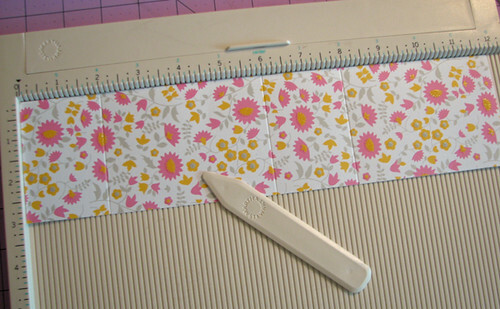 You will need to score your 3 x 12 inch piece of patterned paper at 2 inches, 6 inches, and 8 inches. Next, fold on the score lines so that the patterned paper is showing on the outside, round the corners on the 2 inch flap, and then ink all the edges. 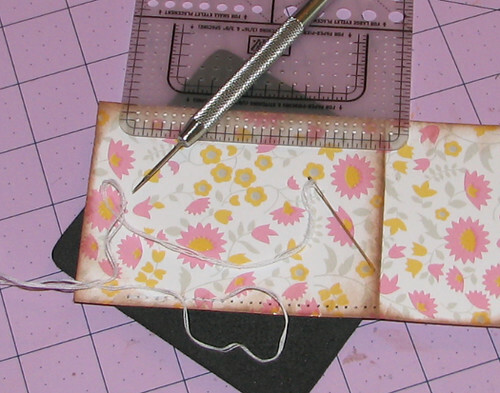 Take a paper piercer and a template to evenly pierce holes along the front edges and flap. Use the needle and three strands of the embroidery floss to stitch in the holes. 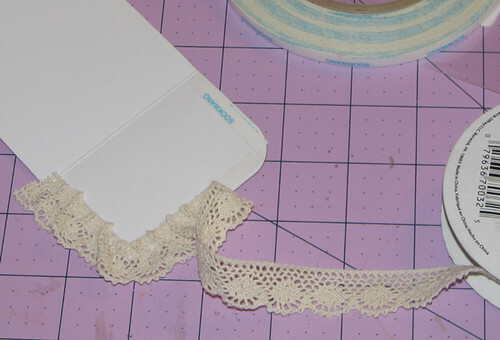 Using a strong adhesive, secure the lace along the inside of the flap edge. 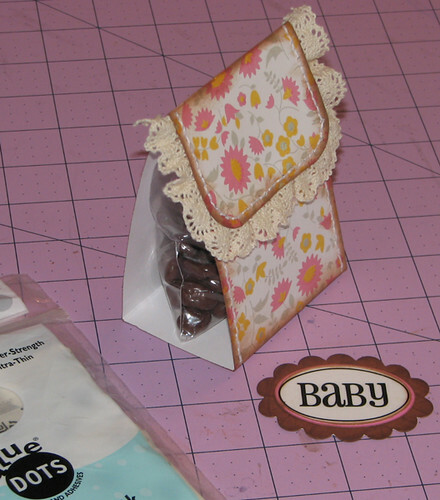 Secure the treat bag to the inside of the gift bag and adhere the flap to the front with a glue dot. 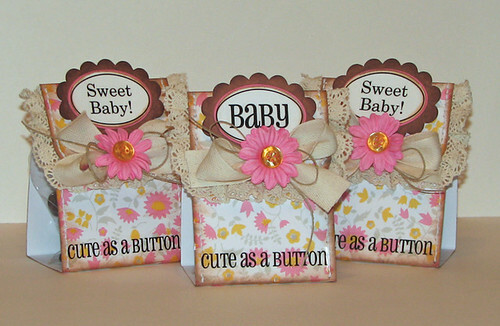 Layer the oval pieces together with a sticker on top and secure to the top of the gift bag with dimensional adhesive. Adhere the ribbon, twine, flower, and button just below the oval pieces. Add an SRM Sticker border to the bottom of the gift bag. Thanks so much for stopping by!! Don't forget that I start my guest designing week at Peachy Keen Stamps today, so don't miss that post...you will have a chance to win some Peachy Keen stamps for leaving comments all week. so pretty thanks for sharing how you made it! I am a new follower!! 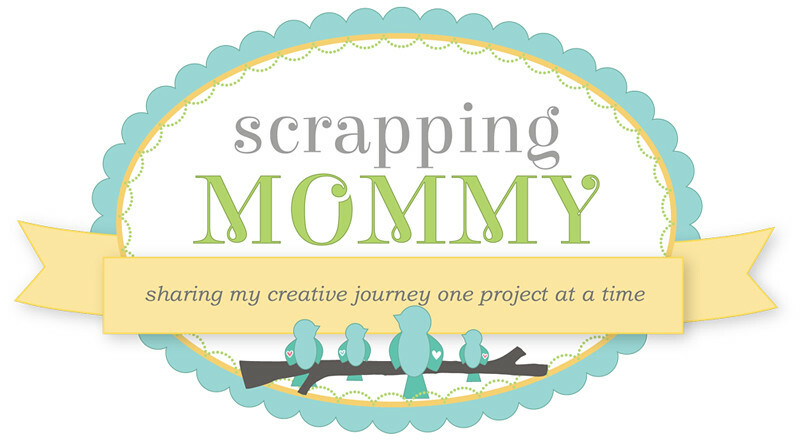 Hop on over to my blog I have an award for you!! Those are awesome favors! I will have to give them a try! Gorgeous Project!! I love it!! LOVE!!! 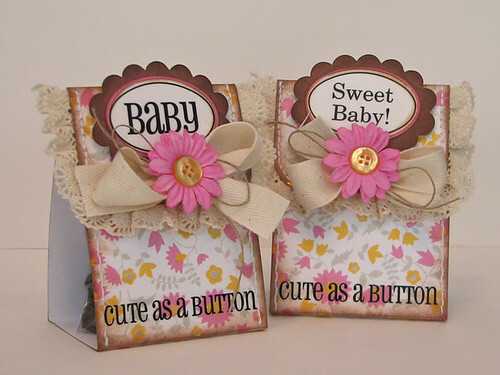 Thanks for sharing - I'm going to attempt to make these for my SIL's baby shower - I hope I do them justice. 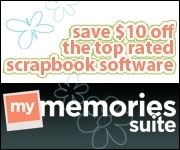 Hey Amy -- just found your website recently. 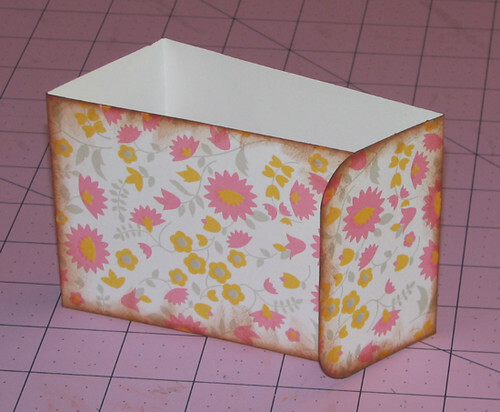 What weight paper are you using for the patterned stock -- standard from Paper stack? heavier?